We left San Diego in the morning of June 14, 2008, for a 7 day trip to the California Sierra. We hoped to get to Sequoia National Park before 1:00 pm so that we can make it to Crystal Cave. Unfortunately, we met very heavy traffic at Highway 5 North of Los Angeles that we did not get to the Foothills Visitor Center before 2:00 pm, and tickets to the last Crystal Cave tour were already sold out. Coming from the South, we made the South Sierra as our first major stop. 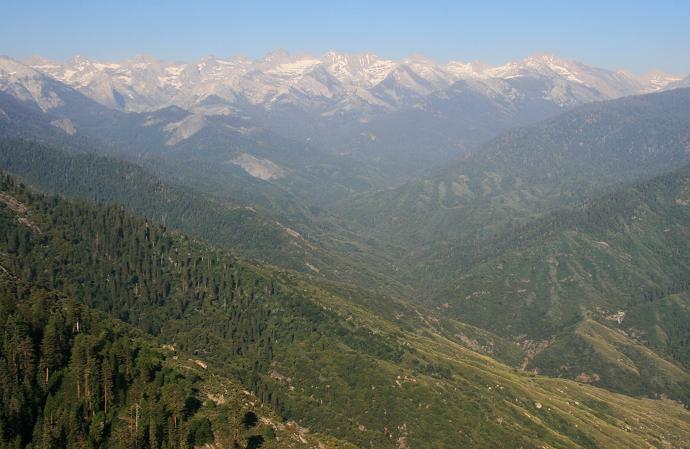 A very impressive scenery that unfolds while driving to Sequoia is the change in vegetation. The foothills are filled with dried grass, the beautiful yuccas, clusters of oaks, pines and low lying chaparrals. Then, the vegetation slowly changes to Sequoia and other pines. Our first major glimpse of the giant sequoias was on a divided Highway 198 where it seemed the 4 giant trees were perfectly spaced from each other allowing the passage of a single lane highway from each direction. 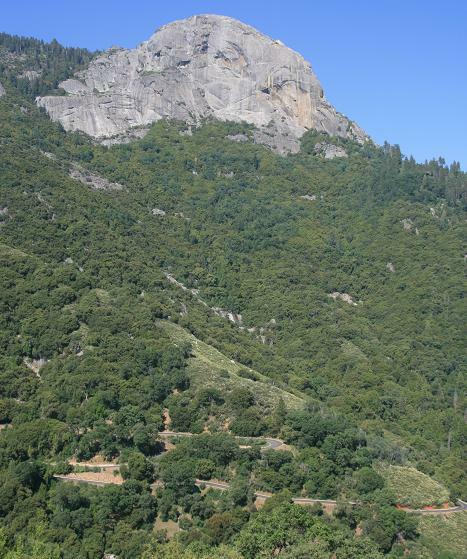 After that short inspection of divided Highway 198, we continued moving up to Crescent Meadow- Moro Rock Road. In the higher elevation, Sequoias give way to slender but tall lodgepole pines, very impressive how vegetation changes in a few yards. From the parking lot of Moro Rock, we took a short hike through a 400-steps stairway that snakes its way to the top of this granite dome. 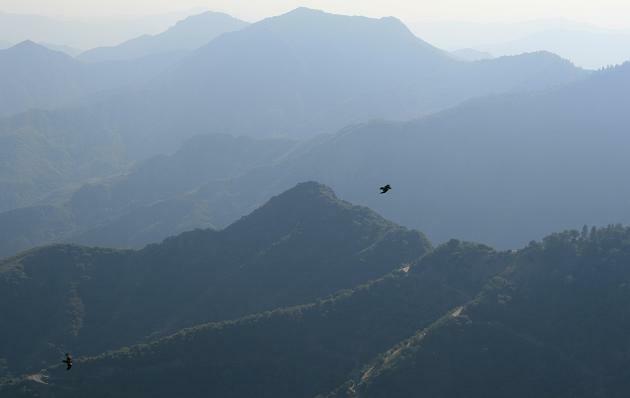 The view at the top showcases layers and cascades of mountains. Looking to the East is the Great Western Divide (see first picture above), a series of 13000 ft plus mountain peaks that runs from North to South. To the west lies the Sierra foothills. From the parking lot of Moro Rock we continued on Crescent Meadow Rd, and saw from the road these interesting cluster of giant Sequoia, the Parker Group. These groups of Sequoia looks so interesting, some of them are so close to each other their trunks form like a creepy cave. After enjoying these majestic giant trees, we continued on the road and saw an intersting drive through of the park, The Tunnel log. 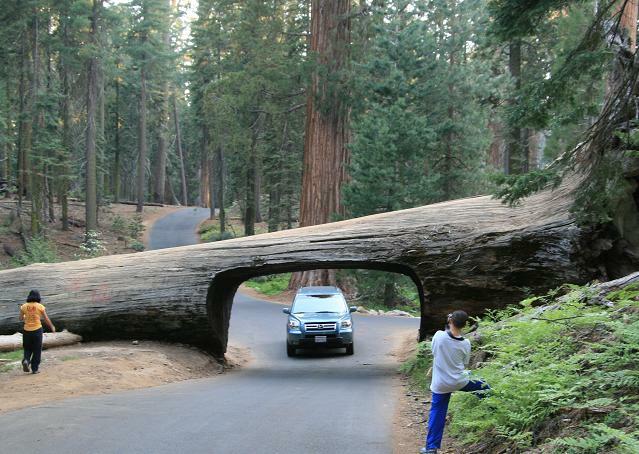 The Tunnel Log is made from an unnamed sequoia that fell in December 1937 from natural causes. 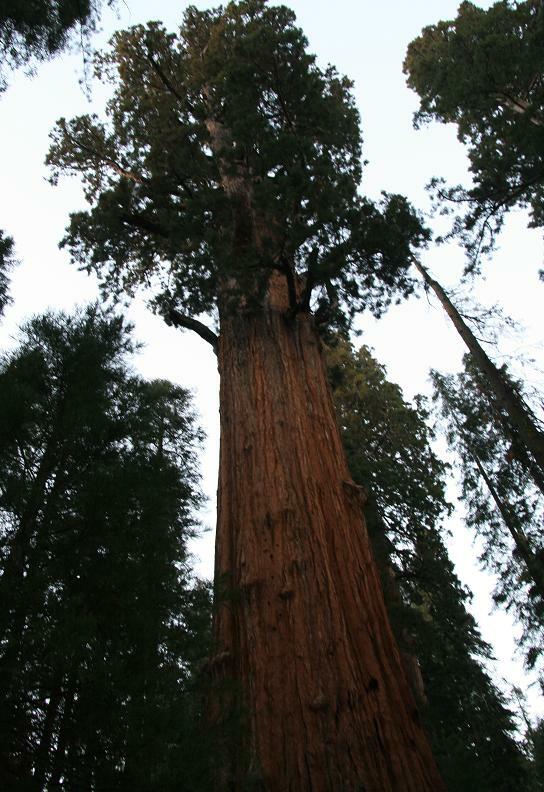 Sequoia’s demise oftentimes is due to toppling from its weight, otherwise, this majestic tree can withstand diseases and natural fires due to its chemical make-up. John Muir wrote, “ Most of the Sierra trees die of disease, fungi, etc, but nothing hurts the Big Trees. 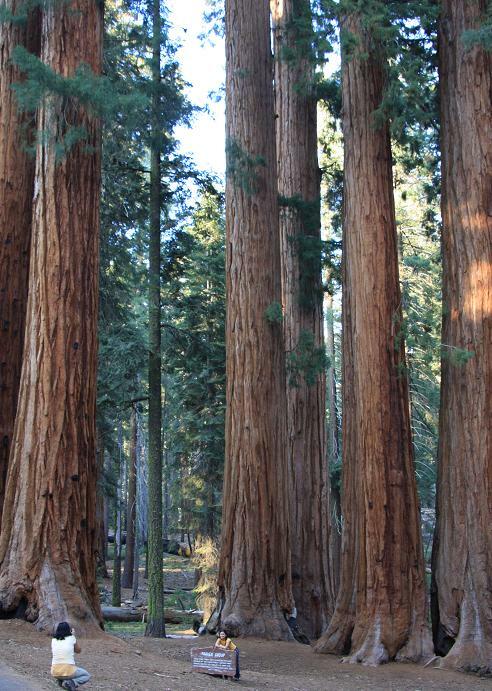 Barring accidents, it seems to be immortal.” The chemical make-up of Sequoia helps them to survive for centuries, the oldest known Sequoia lived more than 3200 years, and they only grow in the Sierra, mostly in the Southern Sierra. Because they continue growing for centuries, from a tiny seed they mature slowly into giant trees! John Muir fought for the preservation of these Big Trees against logging, making Sequoia National Park the nation’s 2nd oldest National Park, after Yellowstone. Leaving Crescent Meadow Road, we were blocked by several cars illegally parking on the streets. We thought there was accident since most people were on the road and seemed to be following something, but when we asked, we were told that “ there’s a bear”. Since no one of us got out from the car to join the chaos, some of them realized that they needed to pull over their cars properly to give clearance for normal traffic flow. As we continued on the road, everybody inside our car except the one driving were zooming their cameras to take the bear a picture. 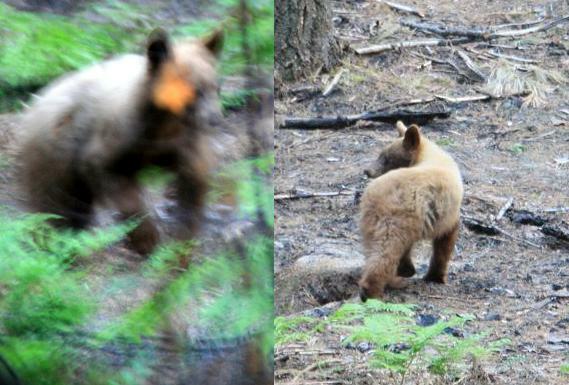 Because of low lighting inside the forest, and we were taking picture from the inside of a running car, the pictures we took were of really poor quality, but enough to remind us that we should be very “bear aware”. For more information on how to properly manage your foods and beverages in bear habitat, please click http://www.nps.gov/seki/planyourvisit/bears.htm . We then proceeded to General Sherman Tree trail. 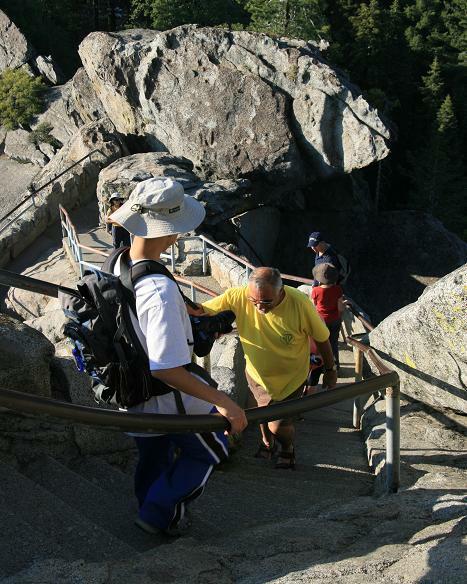 The General Sherman trail is paved that goes downhill but on very gentle slope. The walk was so lovely since the trail was surrounded by the giant trees. Walking in the midst of these giant trees gives a really special feeling of being able to be up close to the full glory and beauty of nature. 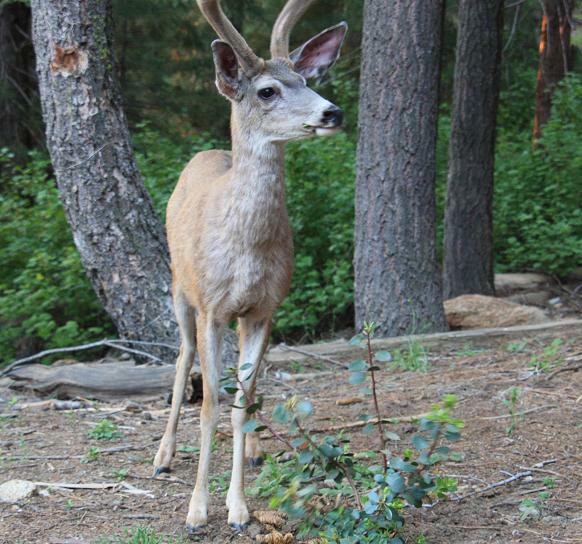 The walk was further made special by the presence of several deers on the trail. the world’s largest living tree. 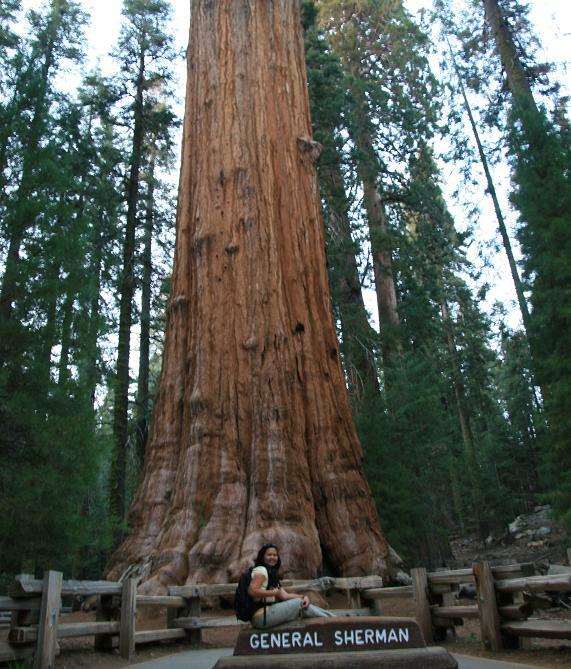 General Sherman Tree is not the widest, nor the tallest, but it is the largest tree in terms of volume, having an estimated trunk volume of 52,500 cubic feet. 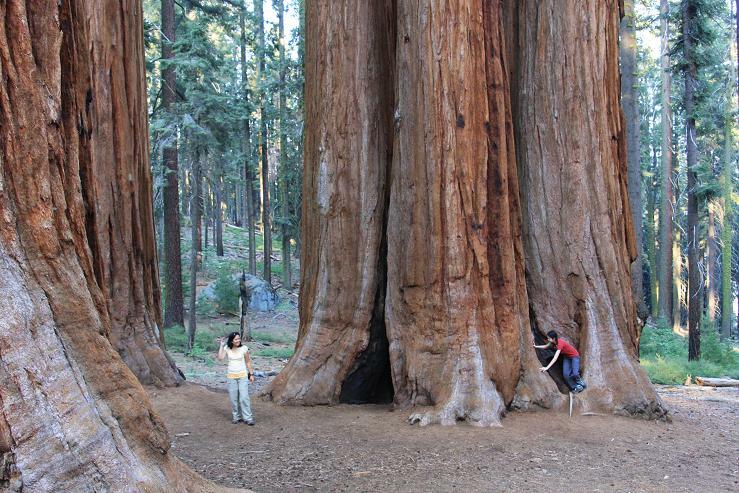 It may be hard to fathom how huge are these Sequoia trees. For its height, I can not take a full length picture of General Sherman, even though I really went down to shoot from the ground. But that is the beauty of Sequoia, you lie on the ground to look up at the heavens as you take a picture of the trunk of Sequoia towering to the sky. It would have been nicer to continue walking amidst these big trees in Congress trail, however, we were already running out of light. Not wanting to get lost in the middle of darkness, we walked back to our car. On our way to Wuksachi Lodge, we saw a very beautiful sky. Really pretty, but unfortunately, there was no legal turn out for us to pull over to take pictures of that wonderful sky. We ended the day by hauling all our foods and beverages from the parking lot to our hotel room to be very “bear safe”. The sky was dotted with stars, really pretty to look at, if not for the very cold temperature outside, mosquito bites and the promise of a beautiful tomorrow, it would have been nice to just sit there and gaze at the star dotted sky. 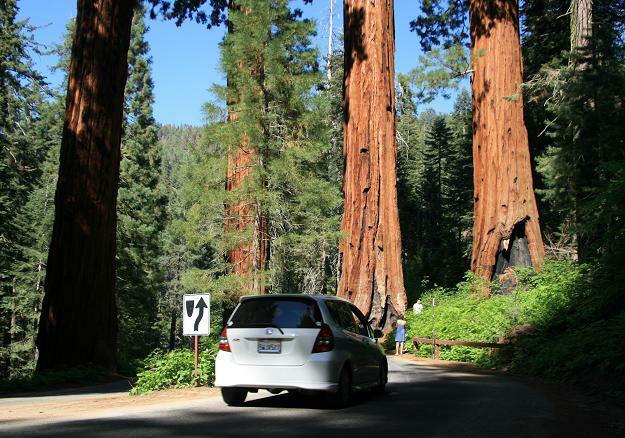 The Sequoias, worth visiting, worth enjoying, worth preserving, worth the drive. Sequoia National Park, aside from the Big Trees, it offers majestic Sierra Nevada sights, that for now, I just have to dream about going back. Entry filed under: forest, hiking, nature, rocks, Sequoia National Park, travel, wildlife. Hi Mark, thanks a lot. Yes, I love those big trees. You’re right about telephoto since we do not want to invade the wildlife’s space as well, also, it is risky to get near them. However, I thought all telephoto are the same :), I think I will have to email you if what telephoto lens is super fast to avoid shake. I do not have telephoto and macro yet, just standard 18- 250 mm lens :(. Usually, lenses with focal lengths 150mm and up are considered telephoto lenses… There are authors though that would consider 105mm as minimum… Technically, a lens having a high focal length does not necessarily make it a “telephoto” lens, because telephoto lenses are those lenses whose optical center is outside of their physical construction (Dumduman ko si Miss Nitty sa Optics, hehehe). But normally, the distinction is not always brought up. I already have 3 lenses, 28-80mm, 28-105, 75-300mm… Kung maggamit na ko sang 300mm ko na lens, I use the tripod if my exposure time is 1/250s and below. Amo ni ang general rule for using tripod: If the exposure time is longer than the reciprocal of the lens’ focal length, tripod use is recommended. For macro, I don’t have much idea kay medyo indi ko da inclined, but there is a popular solution to make an ordinary lens into a macro lens… One can use extension tubes. For Canon cameras, there is a variety of extension tubes to choose from, from Canon itself or from other manufacturers. wow, thanks a lot Mark. i enjoy reading your reply, anyway, will email you. Very well done, both in terms of blogging, added photos, and links to useful sites. It reminds us of everything we’ve been through. Your efforts in putting these together is very much appriciated. Thanks a lot, David. I hope you had a wonderful time in Yosemite. Bettthhhh!!! Good God, I didn’t realise you have got another blog site! This is heeeavvveeennn!!! It doesn’t fail to amaze me, I always fall in love with your photographs, they are marvelous, Beth! Thanks for linking me up and for visiting my blogger. It brought me here! Dear friend, this is a beautiful site. I will link you up!!!! Woo-pee!